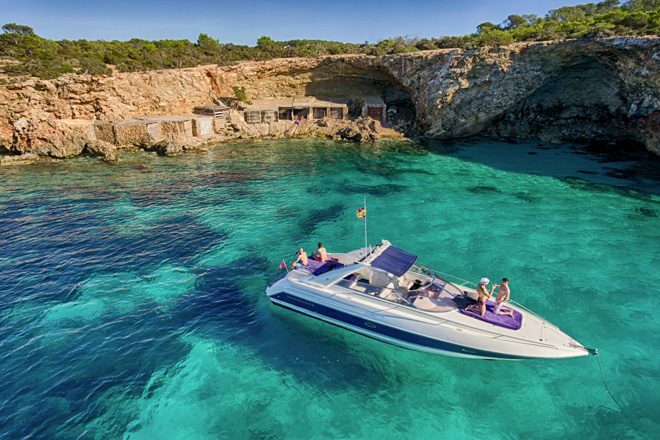 Mixmag has always been your guide to the best ways to see the White Isle but one of the most underserved and under-reported ways is by boat. With a coastline that includes remote bars, top restaurants, hidden coves and even secret beaches the island is full of landmarks and highlights that are best reached by water. Thankfully you don’t need a captain’s licence or a trust-fund to hire a boat in Ibiza - you can get one for a half-day or just the sunset, divided by a bunch of mates and the cost can work out cheaper than a club entry. The all-inclusive deals from Boats Ibiza take care of everything; packages even include free beer, wine and soft drinks. Our tip; keep an eye out for regular discounts, giveaways and competitions via their socials and newsletter. For those with bigger budgets full days or sleepovers are also available. It’s a stunning way to see our favourite island. BoatsIbiza.com can arrange boat or yacht rental during which you could visit neighbouring Formentera, stop for lunch at Blue Marlin, grab a drink at Mambo or take part in some water sports. Their fleet ranges from the more affordable sporty speedboats, to iconic Sunseekers and huge pumped up catamarans! Wanna DJ off the coast of Ibiza? 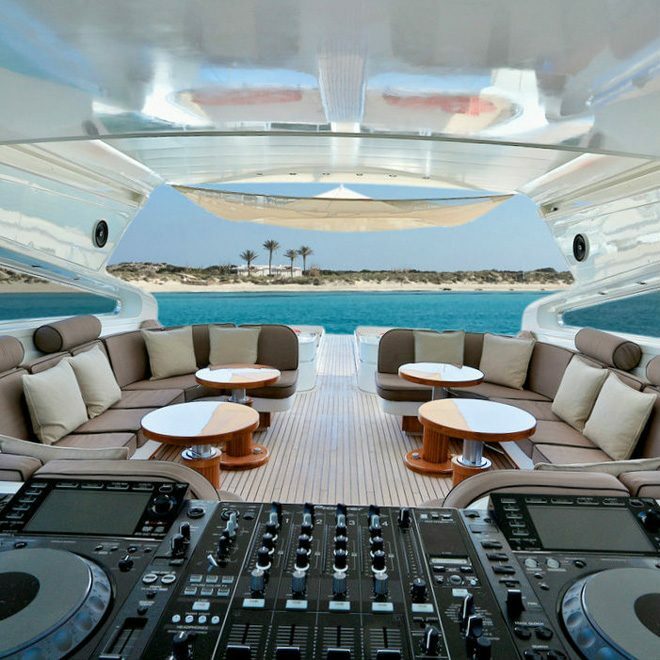 The queen of the fleet is the Disco Volante - which has CDJ2000 Nexus and a 2K sound system on board. BoatsIbiza.com promise to refund the difference PLUS throw in a bottle of Grey Goose during your charter if you find a better price on their deals. And their own prices are shown with and without tax on their website. For more, follow BoatsIbiza.com on the usual socials or check their website.